I’m sure, like me, you’ve seen many RPGs market themselves as having 100 hour quests or something outrageous like that, only to find that unless you delve into side-content, it’s less than half that in almost every case. Record of Agarest War ($5.99), the latest port from HyperDevbox, makes a similar claim, but they’re not shoveling manure. Though I finished my first, and I might add quite rushed, pass through the game under the 100 hour mark, it wasn’t that far off, and I think it’s entirely believable the average player will eclipse the century hour mark before seeing the ending. Add in the side content, and you’re probably looking at 130-150 hours, if not more. If you’re determined to get your dollar’s worth out of a game on sheer length, you’ll be hard-pressed to beat Agarest. Of course, a game running that long can be a double-edged sword, and that’s definitely the case here, but I’ll come back to that later in the review. 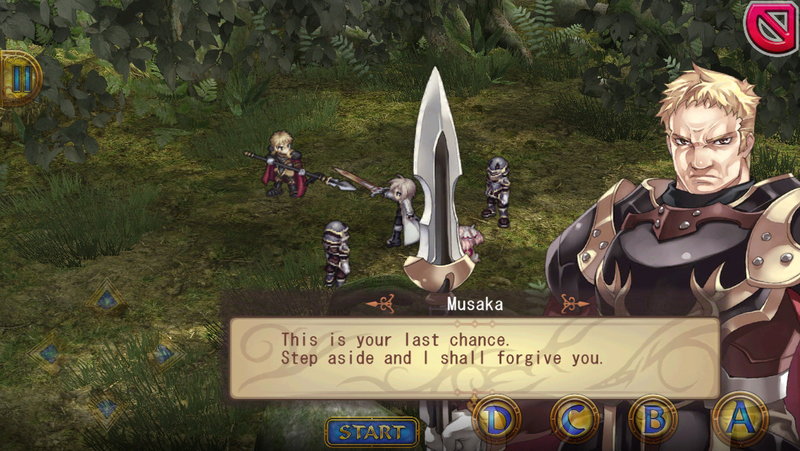 Record of Agarest War is the first installment in a series that to date spans three titles. It was originally released on the PlayStation 3 in 2007, with ports following for a variety of systems. Developed by the notorious Idea Factory (Spectral Souls (Free), Blazing Souls Accelate ($4.99)) in conjunction with Red Entertainment (Sakura Wars), it’s perhaps most well-known to English gamers for its somewhat mismatched marketing campaign from Aksys, the American publisher on PS3/360. The sexual content of the game was heavily played up, culminating in a “Really Naughty Limited Edition" with some embarrassing extras. In actuality, the game isn’t all that naughty even at its most scandalous. I expected shame and instead found only rare awkward attempts at titillation. Disappointing for some, I’m sure, but our world certainly doesn’t lack for questionable adult anime, so it’s probably okay. 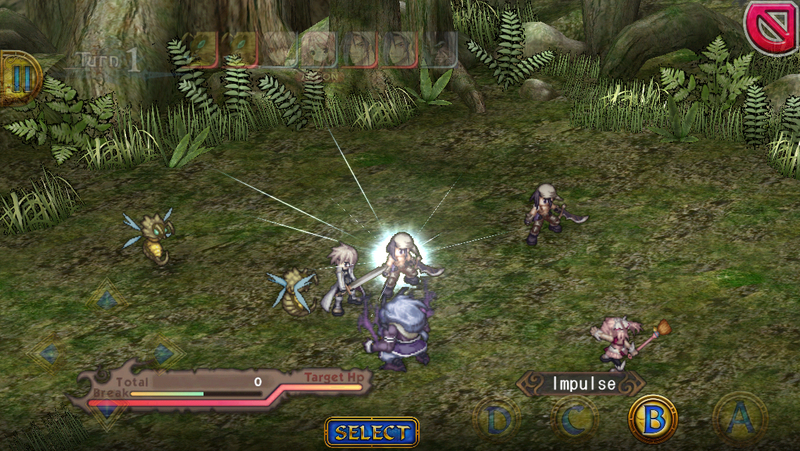 Agarest is pretty close to the typical SRPG from Japan in some ways. 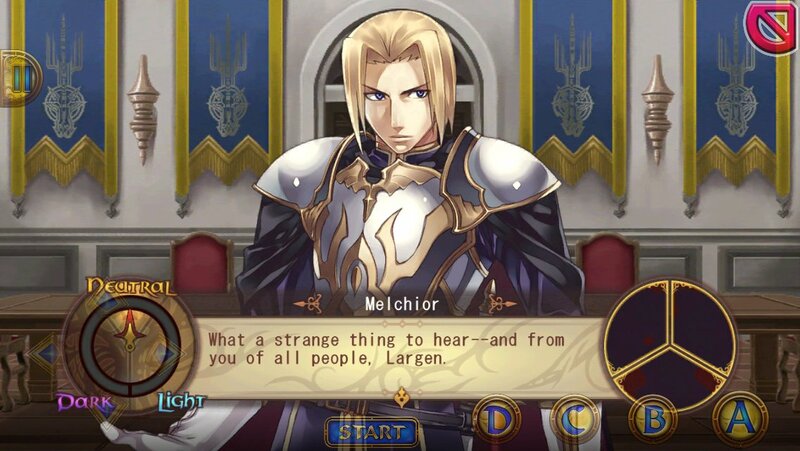 If you’ve played Final Fantasy Tactics ($13.99), Disgaea, or Fire Emblem, you’ll see a lot of broad similarities here. The game is basically a series of turn-based battles where you control a team of characters. The familiar grid-based maps and movement are here, along with special skills and magic characters can unleash for extra damage. The story is moved along by cutscenes between battles, and on occasion, you can enter a town to stock up on supplies and upgrade your gear. Agarest brings a few differences to the table, however. Most notably, it’s such a long game that the story actually outlives the initial cast, spanning five generations of heroes. At various points in the story, you’ll have to make choices that will determine your affinity with each of that generation’s heroines, and at the end of that generation, the woman who likes you best will hook up with your hero. The hero you play as in the next generation is the product of that union, and his stats and appearance will reflect his parents and how strong their bond was. This isn’t the only RPG out there to use this idea, with Phantasy Star 3 and the recent Fire Emblem: Awakening among others using a similar set-up, but it’s rare enough that the novelty of it is still pretty strong. It’s also great if you happen to ever want to replay such a gargantuan game. Another interesting twist is the presence of exploration areas, where you can actually move your character around outside of combat and, well, explore. 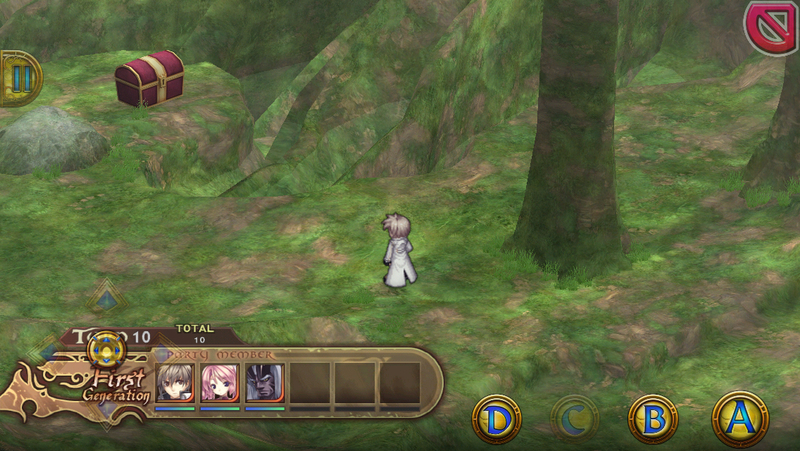 These areas play more like a standard JRPG, with treasures to find and random battles every so often. Unlike the regular map battles, you don’t get healed at the end of fights in these areas, so you have to consider the effects of attrition over a series of battles and stock up appropriately if you want to survive. Having a chance to wander around somewhat freely is a nice change of pace from most SRPGs, so even though these areas can be torturously long, I’m still glad they’re here, if only to break up the dozens of hours of battles. Speaking of the battles, there are a lot of small ways that Agarest distinguishes itself in its combat. If you’re working from a Final Fantasy Tactics frame of reference, you’re probably going to be very confused at first. There are no basic attacks or defense. You’re given a certain number of action points per turn, and any that you don’t spend in the movement phase are available in the attack phase to use your various special moves. Whatever surplus remains at the end of your turn carries over to the next one, so you can save up for some pretty crazy combos if you plan correctly. 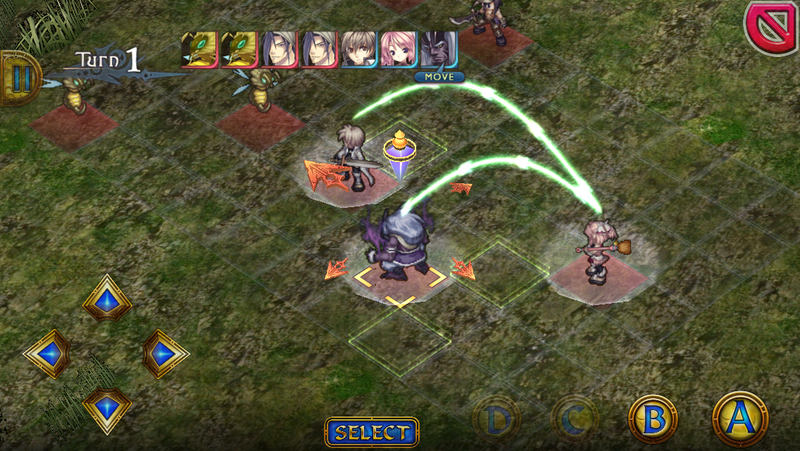 Positioning your units is a vital component of any strategy game, and Agarest takes that one step farther than usual. By placing your characters in certain positions and directions relative to one another, you can combine action points to unleash a devastating chain of attacks. Of course, enemies can do this to you, too, and they’re pretty good about using that strategy right from the start. In general, Agarest War is a pretty tough game. One bad bounce can lead to an enemy taking out your mages in a single hit, and depending on where your other characters’ turns come up in the rotation, you might be hard-pressed to revive them even if you have the means to do so. The game is a pretty solid challenge all the way through, something that admittedly can get a bit exhausting in certain stretches. There’s quite a bit more to the game’s systems than what I’ve outlined here, including capturing monsters, the break gauge, and more, but I don’t think I could describe everything properly even in the scope of this relatively lengthy review. Suffice it to say, there’s a lot to learn and do in Agarest War. Just for good measure, there’s even a hidden ending that requires you to do things a particular way and keep to certain choices if you want to see it. This game has its share of problems, though. First, while it’s commendable that the game is long, it really doesn’t need to be. The pacing in this game is absolutely terrible, with literal hours of the game feeling like you’re doing nothing at all. The length serves to draw a line under certain faults, like the general lack of visual variety, and the relatively small number of battlefields. While we’re on the subject of battlefields, I would have liked some variety in the terrain. Having differing heights like Final Fantasy Tactics would have been great, but I’d have even settled for some cheap cosmetic effects that alter stats, as in Fire Emblem, just as a way to throw a curveball into your strategy now and then. The UI, carried over from the original game, is a bit more confusing than I’d like. There’s so much going on in this game that a great UI would be of tremendous help. Instead it’s a lot of menus tucked away in odd places, opaque displays of information, and awkward inputs. Some of the interface problems come as a result of the game’s console origins. If you have an MFi controller, you can alleviate some of these issues, but otherwise, the game is controlled by a very inefficient virtual controller that slaps a ton of buttons on the screen, many of which are seldom needed. There are alternate touch controls, but they’re a bit buggy at the moment, so I’d recommend avoiding them until they’re fixed. Overall, HyperDevbox has done a wonderful job bringing the PS3/360 game to iOS without compromise. In one case, however, it’s a bit too faithful. As in the console version, you can only save your game in towns or on the overworld map. There isn’t any autosave or quicksave, so if you need to stop what you’re doing in the middle of a battle, you have to close it off and pray it doesn’t crash or get swept out of memory. Convenient saving options are extremely vital to handheld RPGs, and doubly so on smartphones where you’re extremely likely to need to get out of a game at a moment’s notice. It’s an awful feeling to have spent a ton of time in an exploration area, only to lose it all because you had to attend to something else. In other respects, its faithfulness is more appreciated. The game looks as good as it ever did on the home consoles. Although it suffers from a lack of variety, the game’s art direction is strong, and the character designs look good. The music is also quite nice, with a wide range of well-composed tunes. The game also has a wide range of IAP, though that is once again faithful to the original versions. Pricing is consistent with the console versions, so there’s actually a bunch of free stuff you can grab like bonus dungeons, in case you were, you know, not quite satiated by the base game. The stuff with an actual price tag on it includes an art gallery, full voices, cheat items that boost your stats, or some cool gear that’s otherwise hard to come by. Record of Agarest War is a pretty pricey game by App Store standards, but the sheer amount of content justifies the cost and then some. If you’re interested in SRPGs at all, you’ll probably find an awful lot to like in Agarest, but unless you’re fairly experienced, I’d advise you to stick with something more digestible and less tedious, like Final Fantasy Tactics. I feel that the game, like this review, carries on well beyond the point of reason for most people, and I really hope the developer can update with more useful save features. Still, taking the overall iOS landscape into account, this is still a pretty easy game to recommend, simply because there simply aren’t that many other Japanese RPGs on the App Store with its depth, scope, and complexity.